Josh's Staff Picks Featured at Book Culture on Columbus! This book is honestly insane in so many perfect and questionable ways. Questionable because I'm questioning myself if I should actually like this book...? This was my first introduction into Capote and what I found in these pages is just a wild ride of questions and insanity. A campy, surreal, sort of supernatural, Southern Gothic, coming of age novel that has a sad, compulsively lying boy, drag queens, crazy aunts, disabled fathers, and so much more. At the age of twelve, Joel Knox is summoned to meet the father who abandoned him at birth. But when Joel arrives at the decaying mansion in Skully’s Landing, his father is nowhere in sight. What he finds instead is a sullen stepmother who delights in killing birds; an uncle with the face—and heart—of a debauched child; and a fearsome little girl named Idabel who may offer him the closest thing he has ever known to love. TRUMAN CAPOTE was born September 30, 1924, in New Orleans. After his parents’ divorce, he was sent to live with relatives in Monroeville, Alabama. It was here he would meet his lifelong friend, the author Harper Lee. 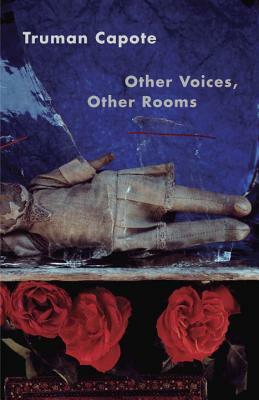 With the 1948 publication of Other Voices, Other Rooms, Capote was catapulted onto the international literary scene and for nearly four decades was a fixture in New York literati and high society circles. Twice awarded the O. Henry Short Story Prize, Capote was also the recipient of a National Institute of Arts and Letters Creative Writing Award and an Edgar Award. Among his many celebrated works are the short-story collection The Grass Harp, the novella Breakfast at Tiffany’s, the memoirs A Christmas Memory and The Thanksgiving Visitor, and the true-crime masterpiece In Cold Blood. Capote died in 1984, just weeks shy of his sixtieth birthday. JOHN BERENDT is the New York Times bestselling author of Midnight in the Garden of Good and Evil. His work has also appeared in Esquire and New York, where he was also an editor. He lives in New York City.